Here’s an interesting report. 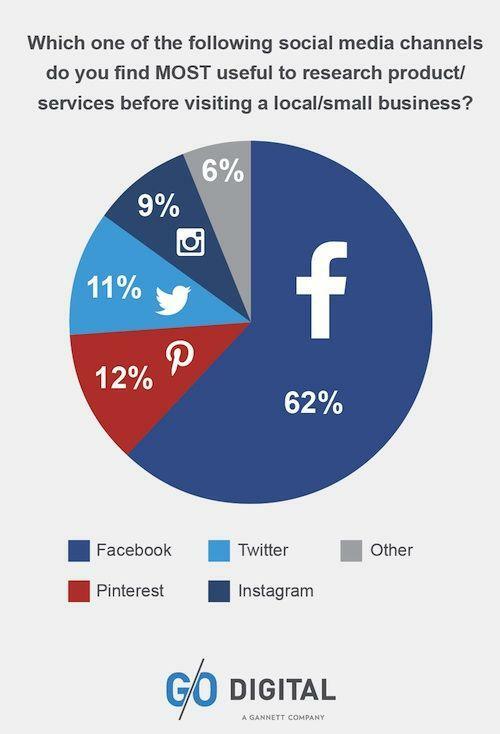 According to G/O Digital, 62% of consumers who use social media to research a local and/or small business head to Facebook first. This falls right in line with what successful social media marketers know – while business users tend to flock to Twitter and Google+, the average shopper hangs out on Facebook. What do consumers look at while researching a business? They typically review the company’s Facebook page, and look at comments on both posts and in public messages. This gives all companies another reason to not only have a presence on Facebook, but to also actively monitor requests and responses.